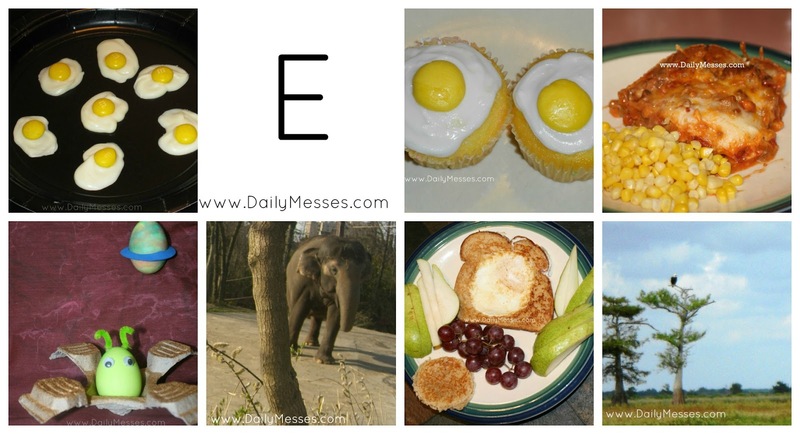 Today's letter is E! I found it pretty hard to find E food ideas, but I did find a few. Make an elephant craft: a puppet, drawing, clay figure. 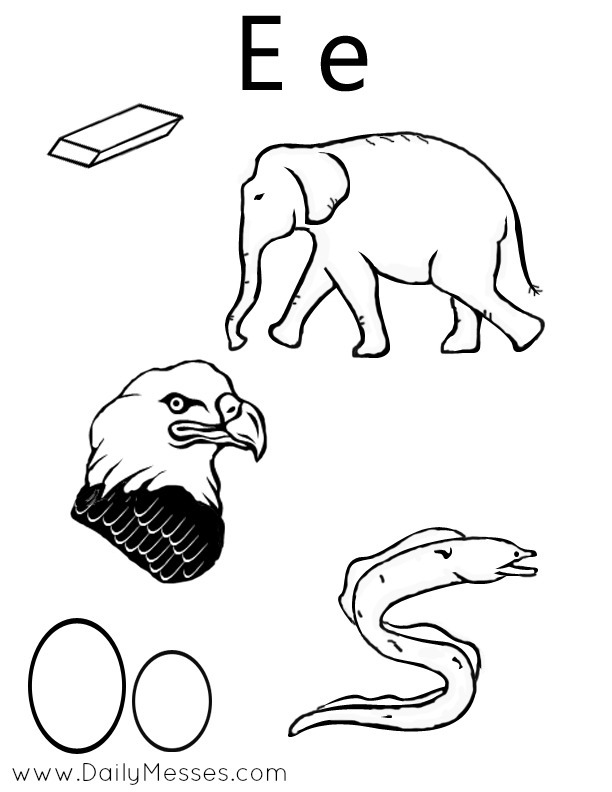 Learn about eels, eagles, and elephants.